Description You will need quick reactions if you wish to successfully activate the platforms and get your ball to the target. 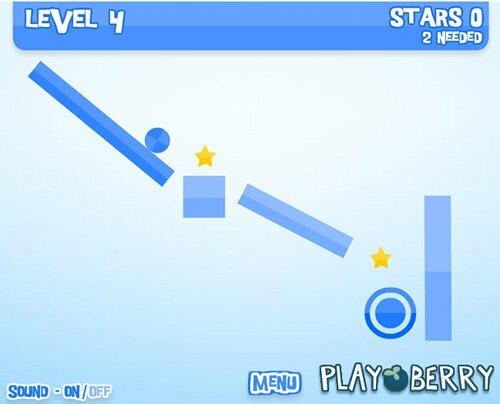 Activate platforms snappily and in succsession to ready them for your ball to bounce and collide with the collectable stars. Watch out for super bouncy red plaforms as they can send your ball faster than normal. Controls Use your mouse to hover over and activate platforms to guide your ball to the target. Special red colored platforms will give you ball an extra bounce.